Suffering a cerebrovascular stroke can mean the end of the road. Or it can mean being debilitated long-term and someone having to cater to your every need. Here we will talk about strokes and medical aid schemes. There are two basic types of strokes. Haemorrhagic strokes occur when a blood vessel ruptures in the brain, bleeding into the brain and compressing other brain tissue. This kind of stroke is often fatal. Ischaemic strokes result from an interruption in blood flow to parts of the brain and the blockage can occur when a clot forms in one of the 4 major arteries. Strokes can also be caused by an embolism. This is when a fragment of plaque breaks loose in the body and becomes lodged in a vessel in the brain, robbing cells of the oxygenated blood. Hypertension is implicated in 50% of strokes. The problem with a stroke is that if you survive one it can bring about a total change in your lifestyle because of permanent paralysis. The other tragedy of a severe stroke is that it can cause so much damage to the brain that the brain isn’t able to sustain life, in which case the patient is described as being brain dead. Having medical aid in South Africa will ensure that you and your family don’t have to worry about not having the money to cope with the aftermath of a stroke. Having a medical aid plan and having your stroke properly handled can alleviate a lot of suffering and cost, and death can also be avoided. If you belong to a medical scheme and you’ve had a stroke. It is a medical emergency and your medical scheme has to cover all emergencies. Strokes are covered by the prescribed minimum benefits (PMBs). These are benefits which all medical schemes must provide. Medical schemes will have to cover all the costs for diagnostic tests, medical treatment, assistive devices as well as the costs for rehabilitation. Strokes are diagnosed from a physical examination, but tests will be required to identify the cause of the stroke. These tests could include x-rays, blood tests, an electrocardiograph and CT scan as well as surgery followed up by management medications. Very few people can pay for these kinds of treatments. Your medical scheme has to cover the cost of the diagnosis and treatment of your PMB. But they can still name your provider of medical care. These are known as designated service providers. Before you start looking at treatment and rehabilitation for stroke. You will need to check with your scheme that the treatment will, in fact, have coverage. If you have had a stroke, your medical aid will cover your treatment. 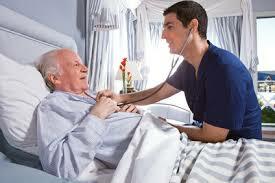 They have to cover certain conditions such as pneumonia and stroke. The Council for Medical Schemes was established to watch over medical schemes in South Africa. And see that they are pulling their weight. If you are battling with getting help with stroke or any other PMB issues. You can get hold of them for assistance.